- The Bird AT-Series Antenna Testers provide a cost-effective, fast, graphical way of determining the quality of mobile and base station antennas. -Rugged, easy-to-use, hand-held design with extended battery life makes it ideal for use in the field. -Tests the system in VSWR, Return Loss, Match Efficiency, or Reflection Coefficient (Rho). -Single frequency readings and frequency sweeps allow for everything from pinpoint tests to system optimization and tuning. -Can save up to 12 traces for comparison and tracking over time. 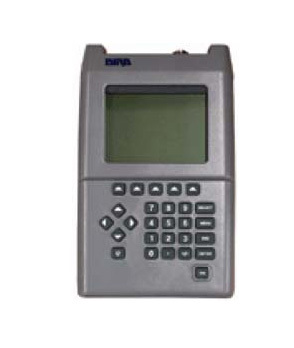 -RS232 Interface allows communication with a PC for saving traces using the optional software. -Battery powered for portable operation anywhere. -EIA-232 port interfaces to a PC with optional cable and software.